Miscellany50 is a celebratory radio festival weekend of short writing and music produced to salute fifty years on air in 2018 of Sunday Miscellany, RTÉ Radio 1’s iconic programme. Five concerts will each capture a decade between 1968 and 2018 and be introduced by writers including Mary O’Malley, Joseph O’Connor and Lisa McInerney. 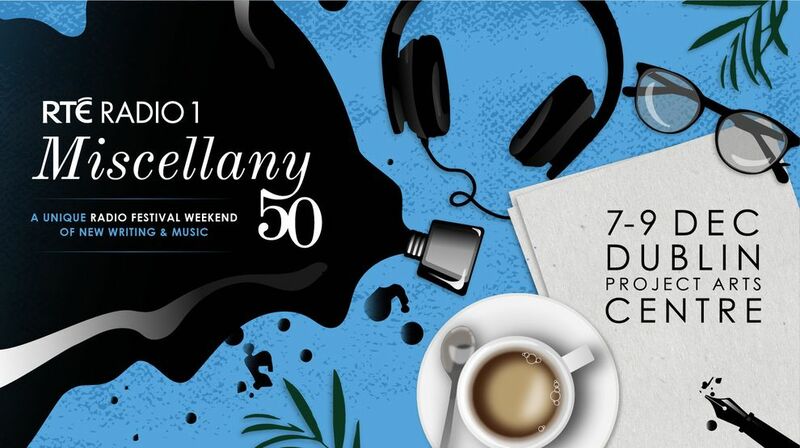 Miscellany50 will also offer a feast of music and song to savour – some specially commissioned to premier over the weekend – from artists including Donnacha Dennehy, Kate Ellis, Jennifer Walshe, Michael Holohan and Niall Valelly. Throughout the weekend The Cube downstairs in the Project will play host to Miscellany50’s Listening Lounge. Here you can sit back and enjoy free access to a choice of content from Sunday Miscellany’s eclectic archive from classic contributors across the decades such as Maeve Binchy, Benedict Kiely, Sam McAughtry, Nuala O’Faolain and Anthony Cronin. Miscellany50’s concerts will be recorded and produced for broadcast on RTÉ Radio 1 in 2019 with the support of the Broadcasting Authority of Ireland.